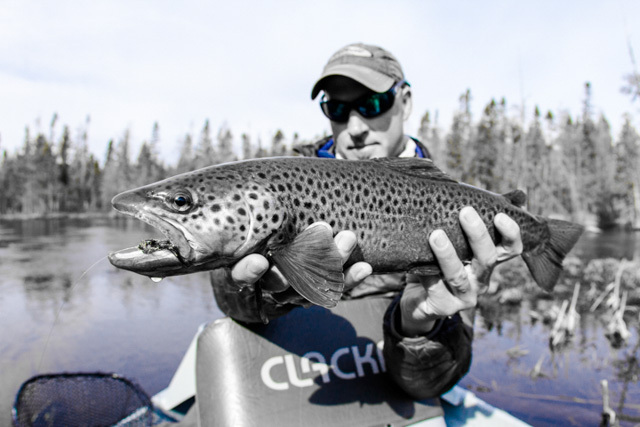 Michigan has a long and storied trout fishing history. The Adams dry fly was born on the Boardman. Trout Unlimited was created on the banks of the AuSable River. In more recent times streamer fishing in Michigan helped anglers with many improvements to flies, rods and lines used in streamer fishing. First of all streamer fishing is popular due to necessity. Many of our best trout streams are choked with logs from the logging era. From approximately 1840 to about 1900 around 160 billion board feet of lumber was cut out of Michigan forests. The vast majority of that was floated down rivers to sawmills and ships. Consequently lots of logs were left in the rivers. These logs make it very difficult to nymph in the majority of our trout streams. There are not many places to get a clean drift. Therefore Michigan has become a leader in the art and science of streamer fishing. 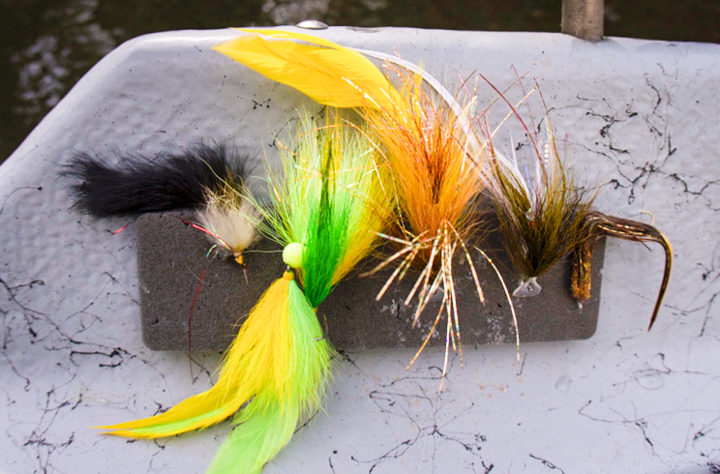 One of the biggest changes in streamer fishing is the development of many new exciting flies. Gone are the days of the Mickey Finn, Grey Ghost and Black Wooly Bugger. Consequently today we have exciting patterns like the Circus Peanut, Nutcracker, Flash Monkey, Zoo Cougar and many others. These flies are generally bigger than previous favorites. They have more movement and a bigger silhouette. As a result the big ones looking for a big meal or protecting their territory will attack. Streamer flies typically come in three shapes, baitfish, sculpins and crayfish. Colors are all over the board. I recommend that you carry multiple colors of each body type.In addition vary the size from small ( 2 inches) to large ( 6 to 8 inches). Finally trial and error will help you narrow your selection down to those flies that you believe in on the water that you fish. Streamer fishing can be done with either a floating line or better yet a sink tip. Hence you will rig different ways for each line. Wading anglers often fish with floating lines because of the ease in which you can switch from dry fly to streamer. It is also easier to manage a floating line versus a sink tip. Always with a floating line you want a weighted fly and a long leader. Nine feet leaders will help you get the fly deeper. When fishing a sink tip you have a wider selection of flies because you don’t need weight in the fly to sink it. With a sink tip use 3 or 4 feet of 10 to 15 pound mono or fluorocarbon. You don’t need to taper it, just go straight line to fly. Casting weighted lines and flies is more difficult than throwing small dry flies on floating lines. Here is a short VIDEO explaining how to cast this stuff. Present the fly to the fish before the line if possible. That means a downstream angle. This is true wading or from a boat. Present the fly close to cover but if you miss just fish the cast out. Picking up and recasting a couple of feet closer will not yield results, it just spooks fish. Generally when you recast you throw too far and hit the wood, an even less desirable result. As important as fly selection is retrieve. How fast, slow, jerky or swung, jerk strip or direct strip, or even jigging it, you get the idea. Pay attention to what retrieve gets you a response, often it is as important as the fly. “I didn’t feel a thing” is an often made statement when a fish attacks a fly when streamer fishing. Since usually you didn’t let the fish eat it that is the result! Don’t set until you feel the fish then use a strip strike. A strip strike is a pull with the retrieving hand not a rod lift. Strip strike so that the fly remains in the general area in case the fish missed or punched the fly to stun it. If that happens they sometimes swing around and eat it. They can’t find it if you lift the rod and move the fly 10 feet away. Finally, whether you wade fish, own your own boat or fish with a guide, streamer fishing is exciting, challenging and rewarding. 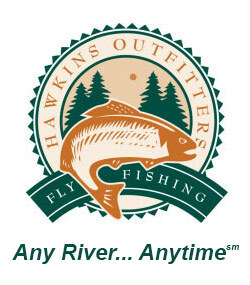 All species including trout, steelhead, salmon, bass, pike and musky fall victim to a well fished streamer. Take the time to master casting heavier stuff, get out and throw some bugs around and start streamer fishing. It’s worth the effort.